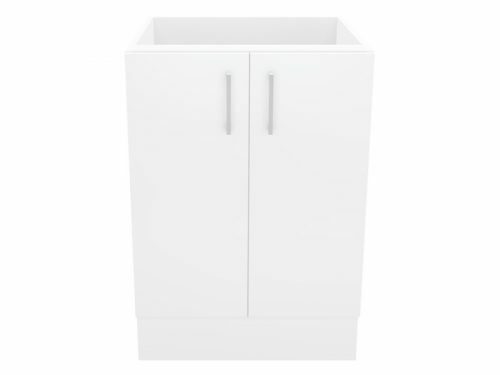 Highly attractive, this 60cm Alpine Base Cabinet is ideal for any kitchen. Featuring double doors with soft closing hinges, this flexible cabinet allows you to replace the doors with an oven front to use it as an under bench oven cabinet. 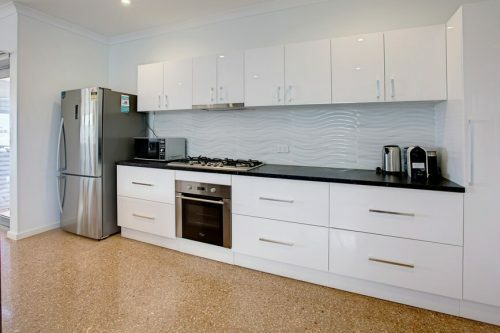 The oven front panel can be purchased separately. 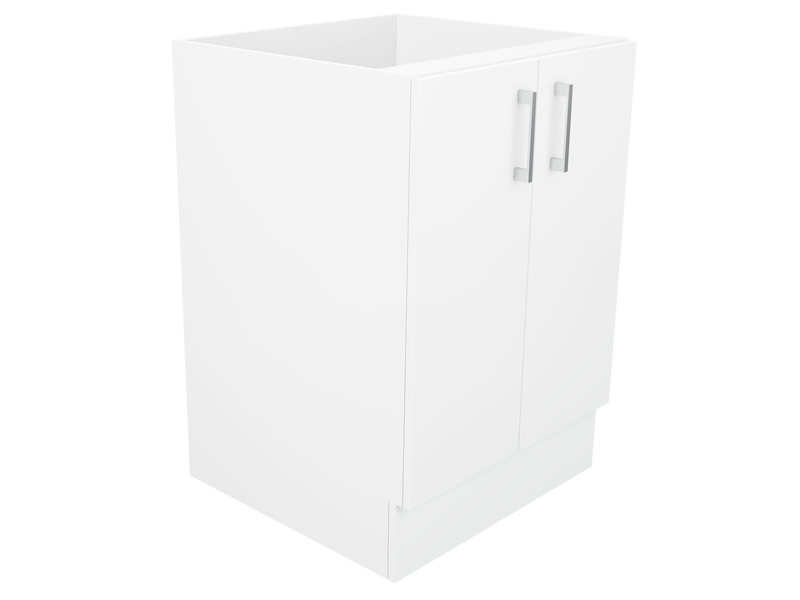 Available fully assembled, this base cabinet is designed for easy installation. 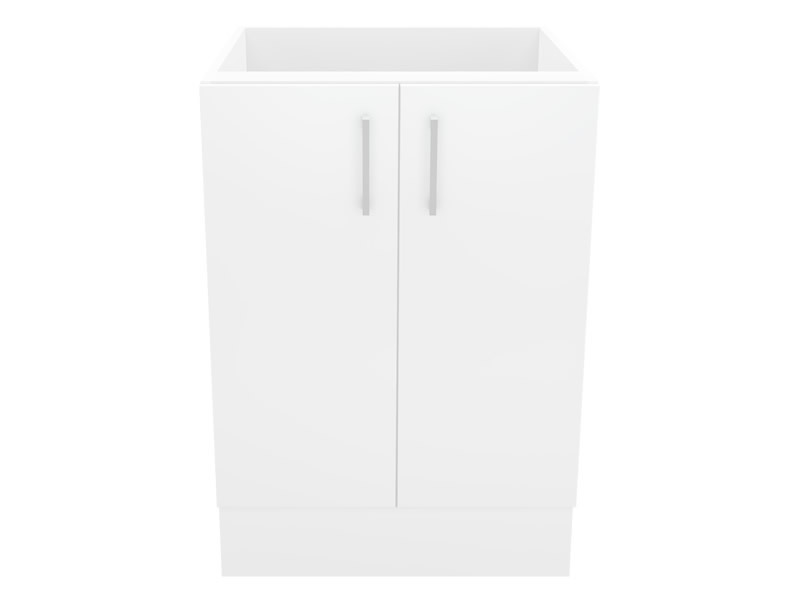 Presented in an elegant high-gloss white finish, this cabinet exhibits striking looks that will suit any kitchen. 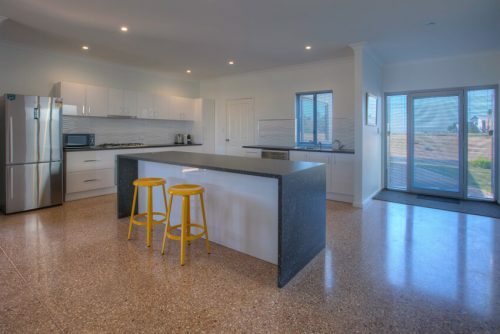 Stylish chrome handles give off a contemporary feel. The surface features a 2 pack finish, which makes it scratch resistant and incredibly easy to clean. 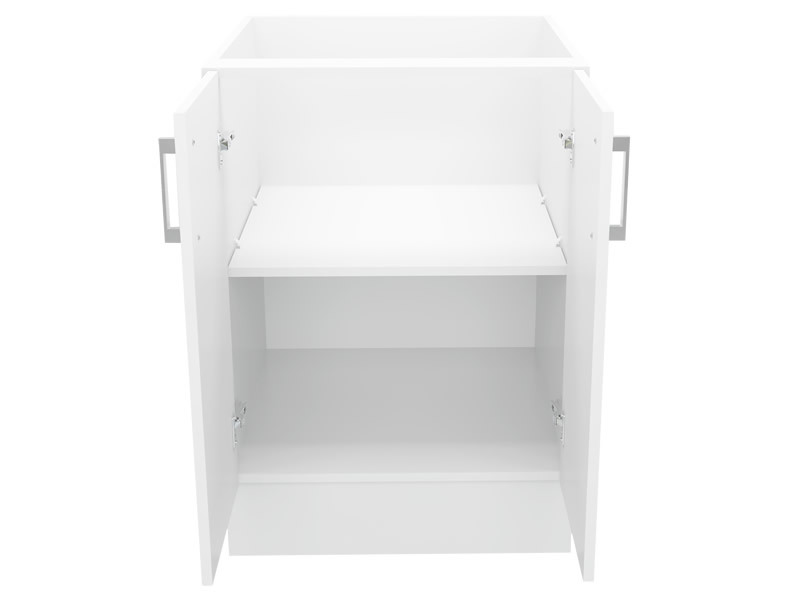 As a superior product, this Alpine Base Cabinet is manufactured using high-quality HMR board, making it moisture resistant. 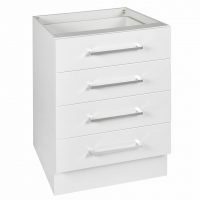 The skilled craftsmanship on this cabinet makes it highly durable and it will offer you many years of service. 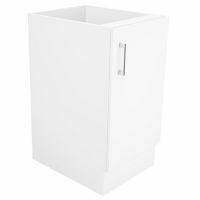 The 60cm Alpine Base Cabinet is backed by a 5 year guarantee on materials and workmanship so as to ensure your peace of mind. 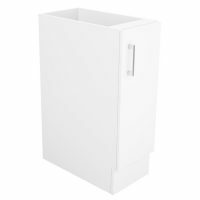 Buy this practical Alpine Base Cabinet for your kitchen from Ross’s Discount Home Centre at an affordable price.